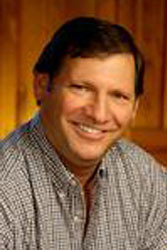 Dan Rosenberg is the President/Owner of Rosenberg Thoroughbred Consulting. Dan previously served as president and CEO of Three Chimneys Farm, home to such names as Smarty Jones and Seattle Slew. He was with Three Chimneys for 30 years. General Manager of Three Chimneys Farm 1978 to 2001.